We'd like to know which feature is the most important to you in the future. We will name a few here but if you have other ideas, please post them below. Galfaroth I’d love to see these features on the app, great ideas! Galfaroth I guess many people like me, expect Polydust to become more and more professional : ) Expect material editor and node view explore like Cinema 4D release 20 https://www.maxon.net/en-us/products/new-in-release-20/node-base-materials/ 3D painting texture like Mari https://www.foundry.com/products/mari/features About the Character Animation, Mosketch https://mokastudio.com/mosketch/ is great reference, if use apple pencil. Galfaroth Can Polydust explore classical modeling methods like sketch drawing in 3d and view infinite perspectives at any scale.like Blender Grease Pencil and Gravity Sketch to help modeling. I would love to see Rendering, perhaps even simpler ways to make more complex models. Thanks Ash! That's great! We will have some news about both those things in the following weeks! I really like to see Texture Painting and UV Texturing! The both feature is very very important for my work flow. Either renderer or at least cool post process effects. A) It’s nice to see this project hasn’t been abandoned. I look forward to good old box modeling on my iPad Pro! As powerful as the iPad is, it doesn’t need to be overworked. It would be nice to model, texture, animate and render all in one app, but if maybe splitting those duties into two separate apps would allow each to do its own job better, I’d be down for paying for two rounded squares vs just one. C) Personally, I’m just looking forward to being able to model in 3D on my iPad. Moving verts, loop cuts, bevels, just the basic stuff all the other iPad 3D apps refuse to incorporate. Even if Polydust turns out to be less of a “Maya” and more of a “Silo 2”, I’d be very happy. D) Retopology tools, like those in “3D Coat” for example, that would allow me to take everything created from my current stack of iPad sculpting apps and retopologize it from triangular steel wool simulations into square polygons. I would like to see modifiers like subdivision surface. Floating palettes that are customisable, being able to keep the poly tools on screen without having to open a menu would speed things up. A tweak tool similar to what you have in Modo, this allows you to modify the transform, scale and rotation of any face, vertex or edge you hover over. Custom work plane that can be assigned to any face. Array and loft tools that can use custom paths or splines. SubD's so that we can do high poly / low poly for baking out normal maps. Keep up the great work, this is the best tool I've seen yet on the ipad pro! For me, I want to create models to be used elsewhere, so I don’t need any rendering or postprocessing effects since I can do that elsewhere. So texture painting, uv texturing or any of the things bigStoater mentioned would be most useful to me. Basically, anything to make creating textured models easier or more flexible would be great for my use case. Thank you guys, your feedback is very important! At some point (probably with more users registered on the forum) we might create a poll to let you vote for the next feature. Anyway, feel free to continue discussion here. It would be really nice to see animation soon, especially because I am working on a project that needs it, but if that can’t happen, I totally understand. Working in two (or more) windows which are showing different perspectives would be great. When chosen a perspective, the ability to move it without changing the perspective. Seeing the position of the object without tapping the moving button. Rename a group of objects. Reflect an object instantly the hole time while working. Because it is an application for a touchscreen: maybe there is a possibility to recreate the smart keys from a keyboard. Something like, let’s say I’m right-handed. So there are 3 adjustable semi transparent points where I can put 3 fingers on it the hole time. The thumb, index and middle finger. By wiping up, down, left or right every single finger you could activate a preset tool. Like a smart key. I hope you can understand what I mean, my english is not that good. Hey @pnut39 ! Thanks for your input! The animation won't be released soon. We are thinking about it for the future though! @Tiga Glad you found it! And thank you for all your comments. We should add some of them after release for sure! They seem very useful! Galfaroth Hey @pnut39 ! Thanks for your input! The animation won't be released soon. We are thinking about it for the future though! Well, that wasn't going to be soon enough for me so I landed on a solution exporting tons of photos of a scene to create a stop-motion animation. Check out the end result here: https://youtu.be/h77hDK5owa8. Thanks for your extensive wishlist! We are ordering all your requests by the frequency you write about them! A way to create a loop cut would be nice, because so far I have not found a way to do so. 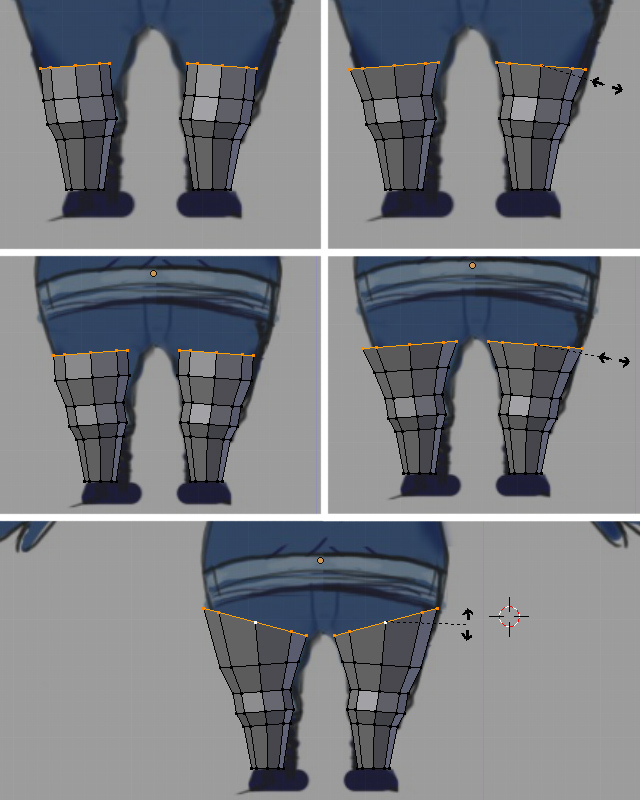 That is a tedious but a very smart way to do that we'd love to empower you with exporting animations sooner but first we want to make sure the modeling part of the app works perfectly. Coding the animation module is a very complicated process and thus sadly it won't appear soon. It would be great to import an image, and have easy access to layers that could display the image and create a low poly version on top of this image.